It is amazing how productive you are when you stay off Twitter! Today I finished my biggest annual work project. I always celebrated by going to see a movie. Those were the preblog days! Not much happening yesterday in blogosphere. Not as many posts and not much great content either. Not sure why…there are days like this. And for crying out loud for some people out there, for the billionth time, do not take me that seriously and you do not take yourselves that seriously too. Lighten up, will ya? Thank you to the readers who commented in the short time I had that blog post up asking for help in my prize dilemma. I took the whole post down as I decided to go for broke and see if they could accomodate two in Upper Class. It was a long shot and was shut down. In the meantime I confirmed that the 1099 tax form will be $980 and the nice gentleman I am working with insists I have a pretty good shot for an upgrade. I have no time to put this trip together for a while. Getting my wife to Paris directly with miles, and me continuing on an Avios flight to Paris, along with me getting to/from JFK while booking a nice hotel in Paris those days…well, this is not going to be simple. At the very least, I am going alone for a few days at least. Thanks for all the help! I was watching CNN at the gym today and saw the Qatar Airines CEO being visibly angry with all the issues with Boeing’s Dreamliner. I don’t blame him at all! Loyalty Lobby lists all the January 2013 Hotel Promotions. Kathy at Will Run for Miles wrote “The Anatomy of a Blogging Frenzy” which sums up well the whole buzz two nights ago on the 100k AmexPlatinum deal. I happened to be online and watched the whole thing unfold. I still have all the bloggers’ posts about this with the time stamp and could do an investigative piece again like I did with the US Air credit cards. But I can not make the time…I have enough trouble making time for these buzz posts!!! It could be fun laying out all the blogger HT practices, etc. 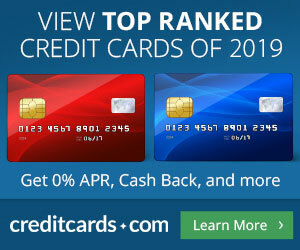 Pointsandtravel.com reports that we can NOT use a credit or debit card at the Vatican. I am mad as hell, this is a Sin, repent!!!! This world is sure going to hell with sickening developments like this! Amazing HD travel video “A Sublime Disruption“. Saw it at Gadling. Parag at Frequent Flyer University continues his India trip report. Excellent commentary and pictures. The kid worked hard at this. The Bluebird thread on FlyerTalk had a pretty crazy day as it appears one member ended with a Vanilla Reload card with missing digits. To make the long story short, there are some really sharp people in that thread, police detectives types who determined that this was an inside job,fraud! Better take a look to see if your VR has been compromised at all (almost impossible to determine) and LOAD the card on your BlueBird asap! Story developing. It appears an isolated incident! RELAX!!! Upgrd has a story titled “Air France/KLM Flying Blue lives in the Stone Age“. Horrifically dismal customer service, wow! Mental note: Do NOT burn their miles for travel to Africa, no way senor, life is too precious to deal with such crap! Now you can trade Tide for crack! Man hires “assassin” to kill son’s World of Warcraft avatar” Love it!!!! I would love to hire this guy if he is that good!!! I’ll have a post tomorrow morning with my own breakdown of the deal, from my perspective. Hoping it will be an interesting read. Not lookin for a fight, but this Amex Plat offer was via creditcards dot com. Any idea what their referral commission is……..?? It was Travel Summary that posted the Amex Plat deal hours before anyone else did. I used his link, since Rick and Darius didn’t have it posted. Now if George would have had a link in his blog (still hard to find), I would have used the TBB link. Ha! Are you saying what I think you are saying? 😉 Actually, this whole blog idea is a novelty and is becoming an obsession. I have several prospects in my real job lined up wanting to talk to me…I actually want them to go away because if they come aboard this blog may not last! What a weird situation…wanting potential clients (wanting to pay me) to not bother me so I can have more time to work on this blog getting paid nothing. Talk about a very bizarre situation! Looking at $$$ and monetizing is like a startup looking how to get bought/do IPO and not focusing on the actual product/service! So….focusing on content, content, content….while decreasing therapist bills, lol! Are you absolutely sure it was the BA Visa with the increased referral bonus and not the SPG Amex? Oh yes, how can I forget that! He is quite a character for sure. I saw that…I just don’t bother mentioning these types of posts for exactly the reason you stated! Way to help out those newbies! No wonder they go to your blog! Whenever I see your handle I chuckle…and it reminds me that Prince guy…whatever happened to him, totally disappeared from the music scene. Hope he did not die or something…shows how much I am in touch with the celebrity stuff. I scan these churning challenges fast. It is pretty much the same cards over and over. I don’t bother anymore. If his readers find them helpful, all the best for them. Rhetorical question…. if he pockets affiliate $$$ telling them to get Hilton cards to stay at the Hilton Shinjuko…. only for the family to find out they’re not allowed to stay there….. is Rick going to give them the affiliate $$$ he pocketed due to incorrect information given to them? An apology for hurting their credit score to attain hotel nights that were never a possibility? I used to love Rick’s blog…Let’s move on!